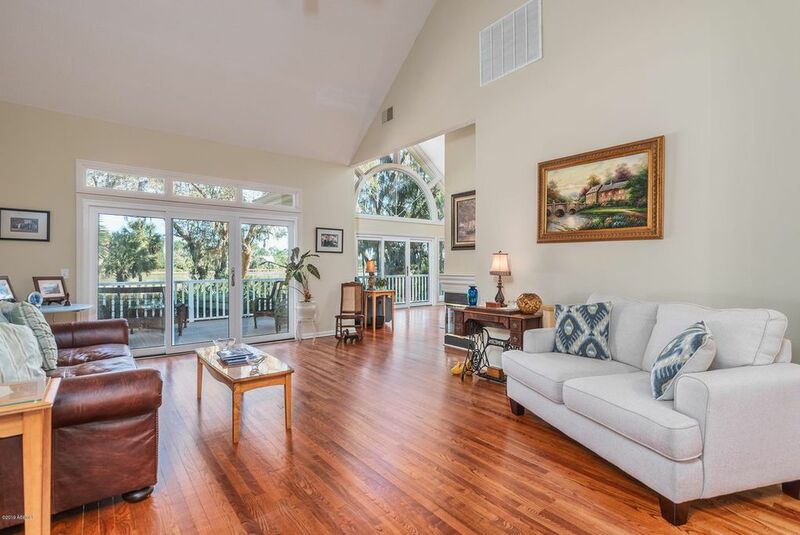 Enjoy sweeping marsh views from throughout this home set within Callawassie Island Club on Callawassie Island, SC. Located at 7 River Bend Drive, features include an expansive sundeck, soaring ceilings and large master suite on the first floor. Updates include a new roof and hot water heater in 2017. Send me more about this home in Callawassie Island! Set in the Carolina Lowcountry, Callawassie Island is a private, gated island community offering world-class Tom Fazio golf and a full complement of amenities. Callawassie is ideally located—near Hilton Head Island–yet a world apart from its crowds, noise and traffic. For convenience and charm, Beaufort is only 15 minutes away and historic Savannah, Georgia, only 30. Send me more about this home in Callawassie Island! In designing the 27-hole Callawassie Island golf course, Fazio took advantage of a lush natural environment to create intriguing visual drama as well as excellent playability. One of the master architect’s earliest designs, the course meanders intimately along the river and salt marshes in a way that environmental regulations make difficult today. And wth a recent $4 million renovation, the three distinct nines play like new. Send me more about this home in Callawassie Island! Encompassing 26,000 square feet of Lowcountry style, it offers a fine blend of casual and formal dining areas. Members and guests enjoy the Grill Room Bar for a drink after a round of golf as much as the Dogwood Room for a gourmet dinner. The clubhouse complex includes a pool overlooking the marsh, with the golf practice area, pro shop, tennis center, and fitness center nearby. Final touches are bocce and croquet courts and a horseshoe pit. Send me more about this home in Callawassie Island!